This print midi dress is one of my first purchases from the Nordstrom Sale arrived and I couldn’t wait to share it with you. I just love the print of this midi dress – its polka dots and if you are a frequent reader of my blog, you know I LOVE POLKA DOTS! (Evidence: here, here, here and here). This black midi dress is by Maggy London. I love the length of this dress and the simple slit on the side. I got the dress in a size 6. I thought it would be perfect for Fall when the weather starts to get cooler. I can see myself pairing it with a denim jacket, leather jacket, and even a crisp white blazer. The slingback heels are also another Nordstrom Anniversary Sale purchase! Slingbacks are really having a moment. These ones from Sole Society were the perfect addition to my closet. I love the simple black heel and gold buckle. I was also eyeing these Lilac heels. I am still waiting for a few more purchases to come from the Nordstrom Sale. Did you shop the Anniversary Sale? What did you get? Tell me in the comments below! My look today was chosen by you on insta-stories. I had 2 looks and I was struggling with what to post. I asked my insta-tribe which look you wanted to see and 60% chose this dress! Side Note: I hope you enjoy the outfits, travel guides and fitness routines that I share. I really want this blog to be a place and a community where you feel heard and can share! 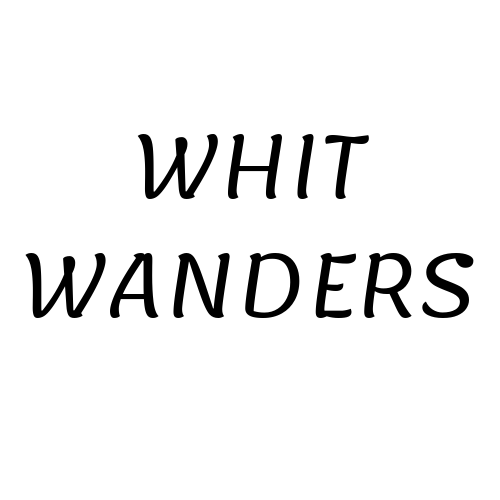 So if you have any blog topics you want me to cover – just email me: whit@whitwanders.com! ohhh i love this midi dress, and the pumps go perfectly with it! you look gorgeous babe! This dress is so cute on you babe. I am loving the polka dots and these classic sling backs! OOOO I love polka dots, and that slit is the perfect height! Thumbs up for this cute style! I felt in love immediately with the dress. I only got a pair of booties during the Nordstrom sale but I really love your purchases! That dress looks like it was made for you! I am also so obsessed with polka dots recently! Love that dress on you. The N Sale is the best! That is a beautiful dress. I love the bag too! Loving midi-length dresses for late summer and fall! They’re super easy to layer with and can be styled up or down – so versatile! I love your dress, this is such a fabulous look.